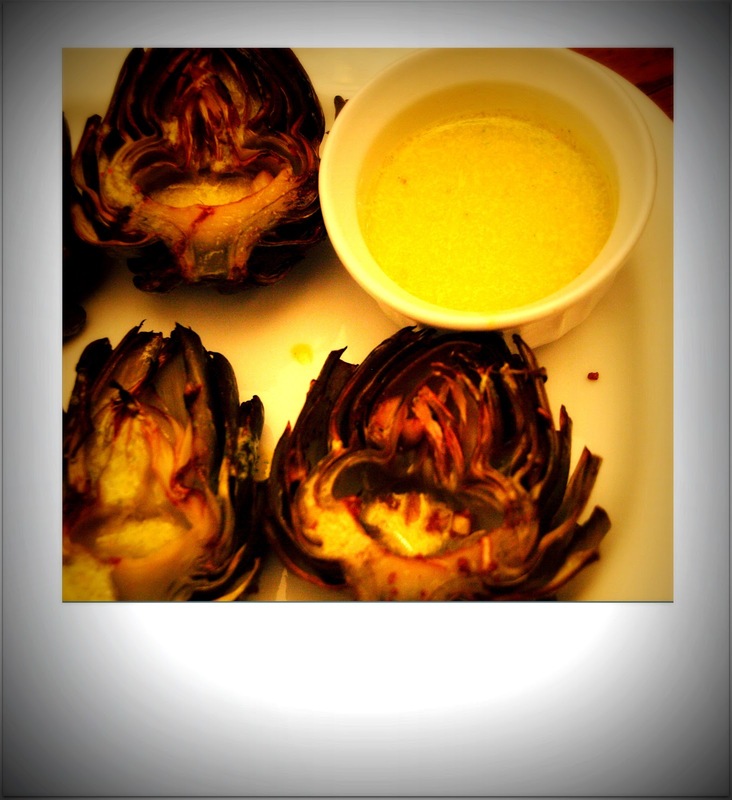 We picked up some artichokes at the farmer's market this week, and I pulled out this recipe that I've wanted to try for a while. 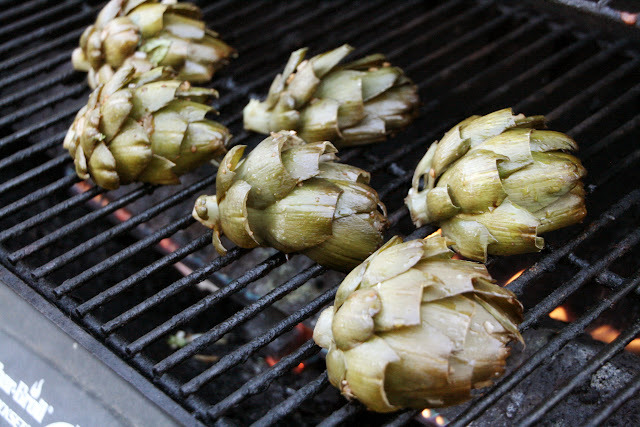 I've never grilled artichokes before - I've always had them steamed and served with butter, which I love. I thought I would try something new though, and I think we found a great recipe here. Mix the garlic, shallot, olive oil, balsamic vinegar, basil or cilantro, salt, and pepper together in a large bowl. Steam artichokes, drain and cool. 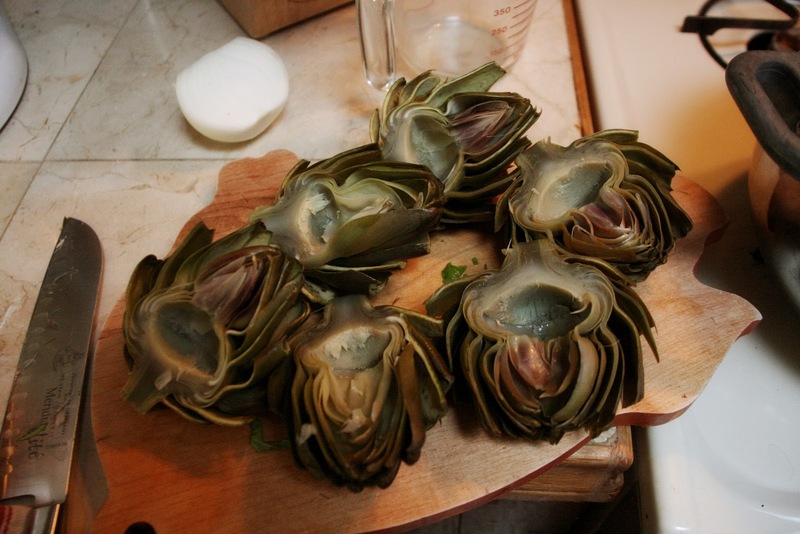 Cut the steamed artichokes in half and remove the chokes. 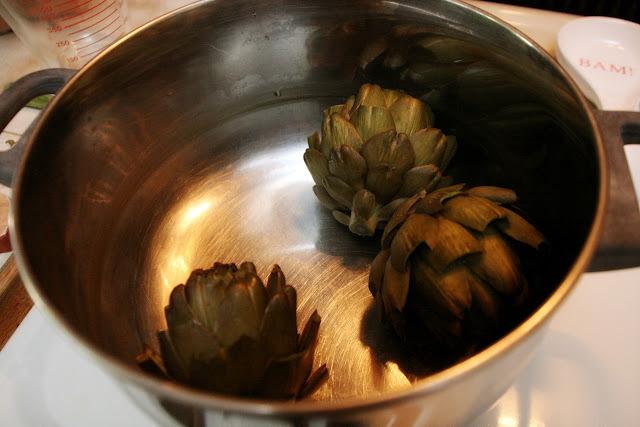 Place the artichokes in the mixture and marinate for 15 to 20 minutes. Remove the artichokes from the marinade and place on char-broiler or barbecue fire with the leaves of the artichoke up. Cook for 4 to 6 minutes depending on fire temperature. Remove from fire and garnish with herb aioli and caviar of choice. These were quite tasty. 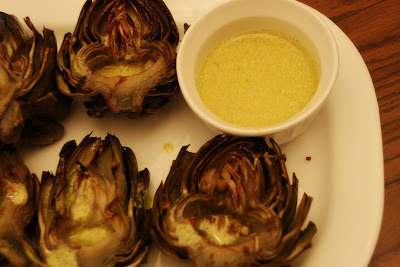 I had baby artichokes so used them instead of the jumbo size, but I think this would be better with larger artichokes. We had leftover aioli - and we'll certainly put that to good use! 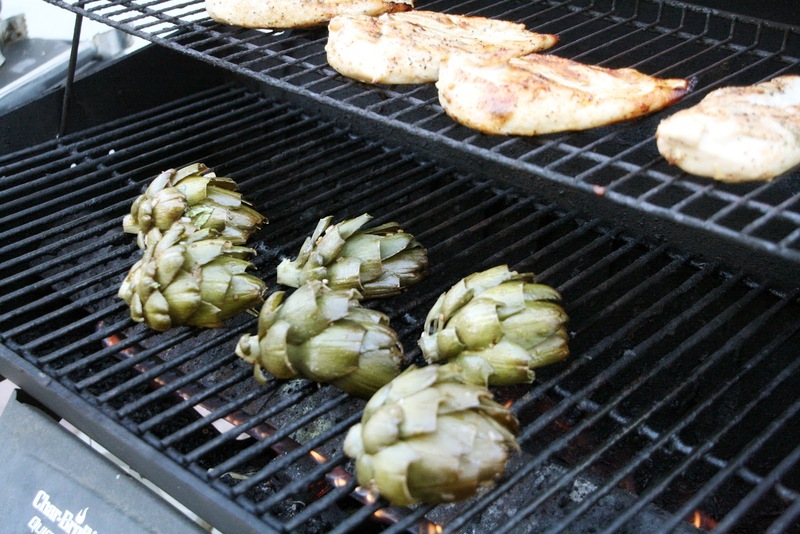 Have you grilled artichokes? Do you have a great recipe to share?